Electricity is a part of all of our lives today, and we seldom give much thought to it unless it is not there when we expect it to be. Unfortunately, modern electricity, which has made our lives so much easier in so many ways, is also a well-documented health hazard. Very few people today fully understand this very real danger outside and inside all of our homes that affects our health. From "stray voltage" to "dirty electricity," your health is affected one way or another by electricity every day. Understanding how it harms your health is the first step to minimizing its harmful effects, and perhaps even overcoming health challenges you have not been able to figure out yet. High frequency voltage transients in our electrical wiring have been linked to many modern diseases and health conditions: Attention Deficit Disorder, asthma, Chronic Fatigue Syndrome, Multiple Chemical Sensitivity, miscarriages, infertility, depression, suicide, and cancer have been shown to increase with long-term exposure to high frequency voltage transients. I've been against cell phone wifi radiation since I learned from William Thomas www.willthomasonlinet.net and Dr. George Carlo's epidemiological studies and his involvement with the 5-year, $25 million Motorola study that never got beyond the 2nd year due to the unexpected revealing of the real hidden dangers of wifi. On Will's advice, I bought a radiation detector from www.detect-protect.com in Europe and almost bought an electrical meter at that time, but was a bit confused by the complexity of using one. This article makes sense of the dirty electricity, how to mitigate it and create safer home and work environments. Thanks to this article, I will revisit the purchasing of an electric meter to test my home and work environments. Dukehawe, you said it quite well, the signals can cause havoc in our bodies. The body works hard to correct the signals, but sometimes gets overwhelmed. I have experienced irregular heartbeat from solar farm inverters causing dirty electricity. I checked out the solar farm that caused my problem and using my gauss meter found that a fairly large conduit feeding from the solar inverter to the main power panel had a large amount of net current on it. After Easter, I will get in there and try to find the problem which is probably a neutral (GC) to ground (EGC) in the inverter panel. Karl Riley who wrote the book on tracing EMFs in building wiring commented that about 80% of net currents are caused by illegal connections (per the NEC). These net currents are in the ELF spectrum and are reportedly cancer causers. I too was an Industrial Electrician for a number of years. I got a B.A. while working for a contractor in California and then got a M.S. in Industrial Technology and ended up my working life as a College Professor teaching (26 yrs) all of the industrial electronic equipment that you mention (mostly maintenance and programming). With over 60 years in the field I should have had some of the symptoms that you mentioned, but all was well until recently. I developed an irregular heartbeat even though my retirement home is basically clean with quite a few Stetzer filters for dirty electricity. What happened was that I was at church and had some negative responses to the DE at the church, caused, from what I can ascertain as being generated by the inverter for the very large solar farm and I ended up on an EKG for the rest of the day. The next morning, I was feeling my pulse (which was fine) and thought about dirty electricity. I got out of bed and started up my coffee pot, got my Stetzerizer Microsurge tester and plugged it into the circuit that the coffee pot was operating on. To my surprise, the meter registered about 1800 with 50 being the desired maximum (I did not have a filter on this circuirt); I quickly unplugged the coffee pot, but the reading remained the same. Not much else was on the circuit except for a small power strip with a BOSE CD player, a Food Saver vacuum machine, and a counter top Italian oven plugged, in but having nothing turned on. The BOSE had a digital clock that was lit up, so I immediately suspected that it was the culprit and unplugged it. The reading remained high and I next unplugged the Food Saver (purchased at COSTCO) and the reading dropped to 20. I finally figured out that the FS had what I call a small cell tower in it and it was transmitting on the power line. From what I hear, the utility accumulates data from these modern appliances and sells the information about the householders habits to the manufacturers. It not only put DE on the electrical circuit, but also put out an RF field that I measured with my gauss meter. This particular device was sitting on the opposite of the wall from where I sit many hours a day working on my computer. My wife had purchased the devise, brought it home and plugged it in; I never rechecked the circuit after it joined our household. My speculative opinion is that my body had gotten used to the signal and adapted my heart beat to the signal and was probably irregular for a period of time, but did not affect me. Then I went to church and moved to a location close to the DE signals inside the building caused by the nearby solar inverter. At that point, my body started receiving a different 'trigger' than it was used to, thus causing a reaction and sending me to the hospital. Since then I have had not problems; the Food Saver remains unplugged except when necessary. I am a firm believer in the Stetzer filters and filters from other sources. But, a word of caution, I have determined by using my Trifield TF2 gauss meter that the filters put out an EMF signal, but tapering off at about 12 inches distance; so, place them at a distance from where you might spend long periods of time (i.e. your bed. I live in Senior Condo Community. Live alone. ALL ELECTRIC HERE, INCLUDING HEAT CEILINGS. i HAVE CEILING HEAT blocked off. Have a wall Heat/AC unit in wall of L.R. only in 2 bdrm apt., so I unplugged it as useless. Use floor fans only. NO heat. I do electric cooking dinner most daily. My Bills can run from $58.00 to $140.00 month and I don't know why. $58.00 not unreasonable. BUT EVERY DEC. BILL IS ALWAYS $325.00 APPROX., no reason!!! BECAUSE of tight budget, I do not put up a tree, nor decorate my balcony. I do not use anymore electricity in Dec. than any other month! SCE (so.Calif.) is of NO HELP, MULTIPLE PHONE CALLS,, LETTERS. tHEY just say its digital and can't make mistakes, so PAY UP! which I do. Strange thing is, I live in CONDO THAT HAS 8 UNITS,, AND NOONE ELSE GETS THIS HIGH BILL EVER. aVG. in bldg. is $40.00 to $70.00. I don't know why mine seems to be higher when it gets over $100..for no apparent reason. ALSO,, I HEAR A CONSTANT HUMMING SOUND, USUALLY LOUDER IN EVENING AND NIGHT. I CAN EVEN FEEL IT IN MY FEET. MY CAT HEARS IT AND SHE PARKS NEXT TO WHATEVER WALL IT SEEMS TO BE LOUDEST AND WON'T MOVE. i HAD OUR SECURITY UP HERE, AND they felt nothing when it was really humming/buzzing and was kinda scary to me as don't know what it is.Was a real electrician up here once, sent assoc.for another reason and I talked to him about it. HE was totally 'I DON'T HAVE A CLUE" electrician. WHAT DO I DO? i just read this article, giving me some clues that maybe I not so nuts! :-) , so will read more. I Can't afford contractors and private electricians, anything else I can do? The Calif. CPUC IS useless!!!!! THANK YOU ANY SUGGESTIONS. In Missouri, and a few (or many) other areas in the untied states, the local electric provider is 'known' (I guess anecdotally, as electricians, cities, etc, don't like to lay their necks on the line for the consumers) to have electric meters that charge over 110% , as much as 150% or even twice the usage, every month. One possible 'legitimate' reason, if it occurs, is when the bill is estimated for a few months or longer, then the meter is actually physically seen and read by a live person, and the difference is on the new bill. Also, in December, or sometimes another month, there may be annual rate changes and/or charges, that the official company prefers to keep 'secret' even if a lawyer gets involved. Whether widespread locally, or just for one individual, the legal service told us that no one would tackle the utilities -- NO ONE. The only option given by lawyers was TO MOVE OUT OF THE AREA! Jeff has replied to this pretty well concerning the bills. But, the constant humming sound got my attention. In that you live in California, you probably have a Smart Meter nearby. I lived in a mobile home park in Reedley, CA and they had a bank of Smart Meters about 75 feet from my home. I sold out and moved to the mountains where I opted out on the Smart Meter and now pay $10 per month more for a meter reader. In your case, you are probably sensitive to the various electrical fields that surround all of us these days. Having worked as a journeyman electrician before entering education as a college professor of electrical/electronic technology, I can vouch for the fact that most electricians will not be able to help you. You are in a tough situation, my similar situation in Reedley added to my decision to move. Beautifully written article!!! Summarizes nearly all issues related to the low efficiency and low functionality of the US grid. The entire grid design is a high maintenance nightmare with serious environmental health consequences. It needs to be scraped and replaced with clean on-site power supplies made available to the end user. We live in a rural area with a cell tower 1/4 mile away. My kitchen is next to the breaker box. I spend most of my time there. The transformer is 15' from our house and buzzes a lot. We have x cell phones. My husband has arrhythmias. Meds do not help. For your security, we do not approve personal emails or phone numbers to be published on our page. Registered Community users can contact each other via our secure Chat. And some Medicine Doctors they have been doing researching in the high frequency voltage. My question is what could be done? And how we could make the residential areas safe? Why this issue is continue? You should really get your facts correct before you write an article. Stray voltage didn't kill those people it was contact voltage 2 totally different things. Do more research first. I am a welder and often use high frequency to TIG weld aluminum. I discovered this article as I was concerned about health effects. Is there any information out there regarding the effects of electric arc welding? My husband and I have recently moved to Tasmania, Australia, and have noticed that in many areas, approximately 90% of homes are roofed with colourbond sheets (like galvanised iron). Several homes have walls of the same or similar metal material. I would say after reading this article that it would be very unwise to even rent one of these homes, rather waiting for a brick and tile one to become available. I would appreciate any input you may have. Thank you. tHANK YOU SO much for your reply. I can't seem to catch lady that lives BELow ME YET, to find out about her ceiling Heat being on. Interesting in this 8 unit condo bldg., that everyones Living and dining room area have the heat/thermostats blocked off and not usuable. BUT the Bedrooms have seperate thermostats, some even hidden behind furniture so often don't even know they may be on. That is why I even turned the Breaker OFF to that. But I will talk to her soon as can see her. Re: someone else that may be also using my meter for their own use..; SCE gave me the Meter # to go find and check to make sure ONLY my meter number showed up...which it did only show my meter number. SO they told me that it would now be impossible for any errors as long as it was my correct only meter #. They Refuse to send anyone out to check anything. Said It was My responsibility to Hire electrician or contractor. Is it possible also, that ceiling heat from a attached condo next to me could influence me, along with someone Below me??? There is 8 units in bldg, but 4 on one side and 4 on seperate side divided by staircase. Also, when on phone with SCE manager, they insisted that when bill goes up, it is my hEAT /AC PUMP THAT IS ON. i WAlk over to that heat pump while on phone and tell them it is OFF.!!! It is OFF but the light is on 24/7, but it isn't on or heating etc. Thats when I just pulled the Plug out of wall and won't ever use that unit. But surely that little light couldn't jack up my bill so high anyway ,when not on heat or a/c. But Now, I just pull plugs on anything I don't use much. BUT I have a hunch, it could be the humming coming from downstairs under me. Anxious to find out. Susan, You mentioned "it always stops".......What, the buzzing sound? If the buzzing sound is intermittent as you seem to suggest, you should record the time of day or weather conditions you most often hear the noise. Transformers are just big sealed cans filled with oil into which a lot of copper wire coils have been immersed. When seal(s) on a transformer become old, the sealing capability to protect the inside of a transformer from moisture penetration in wet weather can be compromised. 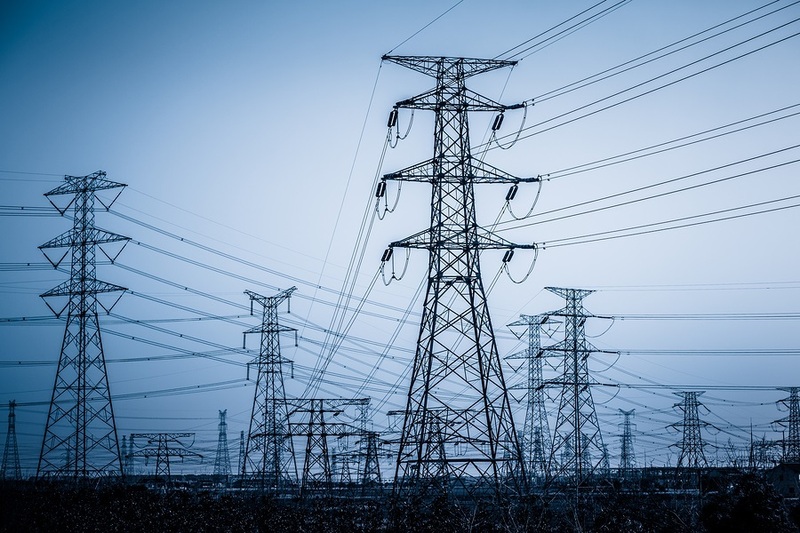 The power company's line mechanics do their best to listen for these conditions when they do routine maintenance , but if the condition is intermittent then it can be easy to miss. Thank you. I have told them before but it always stops and they don't investigate. I'll keep on till they do.